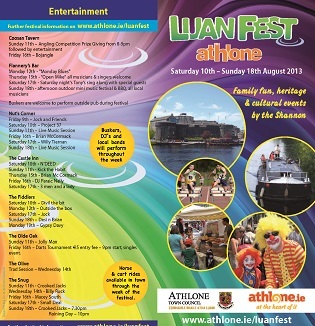 From the 11th to the 18th August a fleet of over thirty Heritage Canal and River Boats will moor in the town of Athlone, at the very epicentre of the inland waterway system. 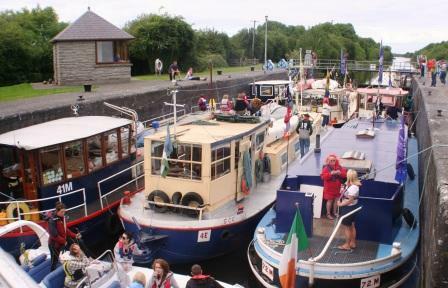 The Heritage Boat Association is celebrating the importance of Athlone and the town's contribution to the heritage of this unique navigation. These canal and river boats are the same commercial barges that once carried cargos all across the inland waterways of Ireland. They were indeed the juggernauts of their day and the canals and rivers were the highways on which the commerce of the nation depended. This gathering of the heritage boats will be the largest ever in the history of Athlone, as, even when they were carrying cargo, they would have moved alone or in small groups. It will take some of the boats as long as four months to make the journey to Athlone. 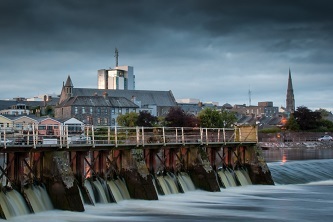 There are boats en-route from Dublin travelling down the Royal and Grand Canals. Others have set out from Limerick and Clare. Others still have sailed up the River Barrow from Waterford to join the Grand Canal boats. And from the North, Enniskillen and beyond, more will sail down the Erne and on to the Shannon to join the fleet in Athlone. Most will be interacting and celebrating with schools and community groups at many locations along the way. 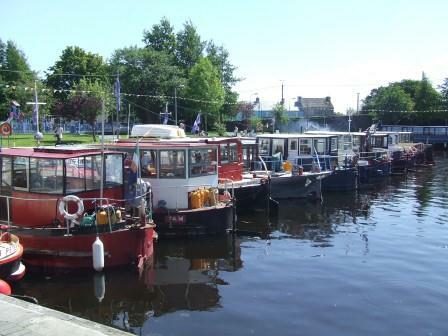 While in Athlone, their skippers and crews are particularly interested in meeting with families who would have had friends and relations who worked on the navigation when it was a commercial waterway. There will be a full programme of public lectures and events associated with the visit of the heritage fleet. Click the image to download the full event brochure (4MB PDF).